Initial/Provisional New York State or ACSI teaching certification or evidence or having met all requirements for a teaching certificate is necessary for admission to the Inclusive Education programs; students with equivalent out-of-state certification may be accepted. 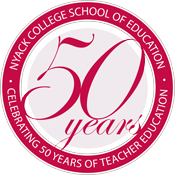 Career Path: The Inclusive Education program has been designed to meet the academic requirements for obtaining a professional teaching certificate in New York State for individuals who currently hold a valid New York State certification in: Early Childhood birth to 2nd grade and; Childhood first to sixth grade. Students can choose to complete the program with a track for Bilingual Education Extension in the area of their initial certification. The program is also open to out of state students seeking a Master’s in Inclusive Education.